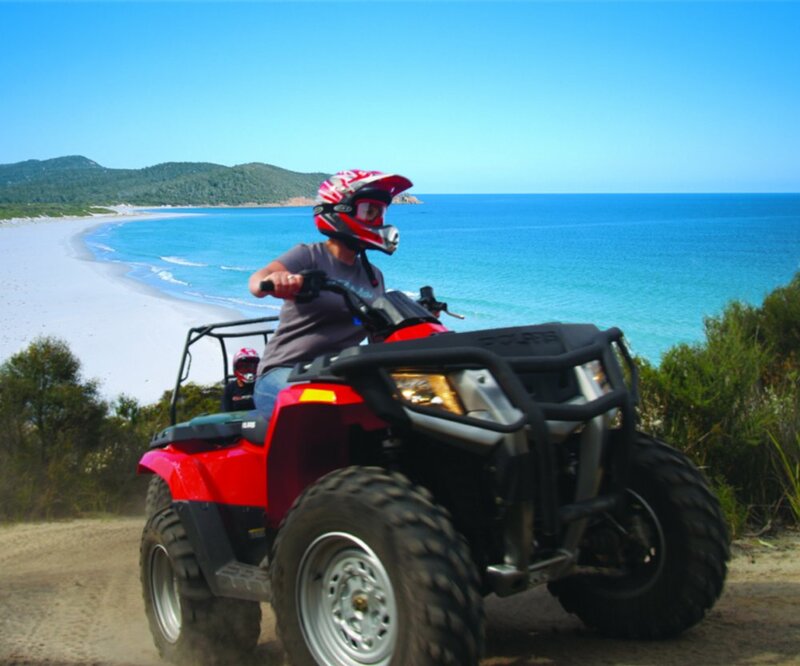 A quad bike tour is the perfect way to get off the beaten track and discover some of Freycinet's lesser known beauty spots! 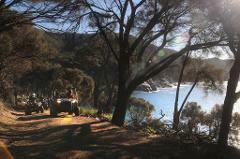 Our team of professional guides have extensive ATV experience. Best of all, no previous experience is necessary and all training is provided! Your two hour adventure starts at the stunning Coles Bay on the East Coast of Tasmania, the gateway to the Freycinet Peninsula. 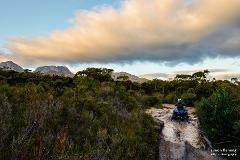 At the start of the tour you will learn the basics of quad riding, including safe ATV handling and riding technique. From here your guide takes you for an unforgettable journey through the coastal forest along 4WD tracks to either of two stunning destinations. Ride to south Friendly Beaches - pristine, white sandy beach that can only otherwise be accessed on foot, or travel through boulder strewn valleys to Bluestone Bay and then on to admire the Coastal Cliffs surrounding Cape Tourville Lighthouse. During the tour we place a strong emphasis on interpretive tours of the national park and pride ourselves on providing you with a full appreciation of the area with it's rich cultural, historical and environmental heritage. Using ATVs allows people to feel a sense of freedom and connect with the area. You ride the bumps, feel the breeze and take in the sights and smells of nature. ALL Vehicle operators require a minimum Provisional drivers licence. 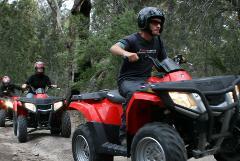 Our combination of single rider ATV’s and three-seater passenger vehicles allows everyone to join in. Our vehicles have automatic transmission, are simple to operate and suitable for beginners and up. All tours include an additional 30 minute training session. We are proudly carbon neutral and are a member of Greening Australia's Breathe Easy program, ensuring we are taking care of the environment in the best way possible. Please note: Online bookings not accepted within 12 hours of tour departure. Please call 03 6257 0018 to make a booking within this time.